Two students who started out on work experience placements with Suzanne Dennis Optometrist are celebrating success after sailing through their A levels and gaining places at Manchester and Bradford Universities to study optometry. Rachael Finch from Standish and Joe Higham from Shevington worked at Suzanne Dennis’ Standish and Eccleston practices respectively, before being offered Saturday positions. Their roles covered everything from assisting in reception, spending time with patients and learning all about general eye care. 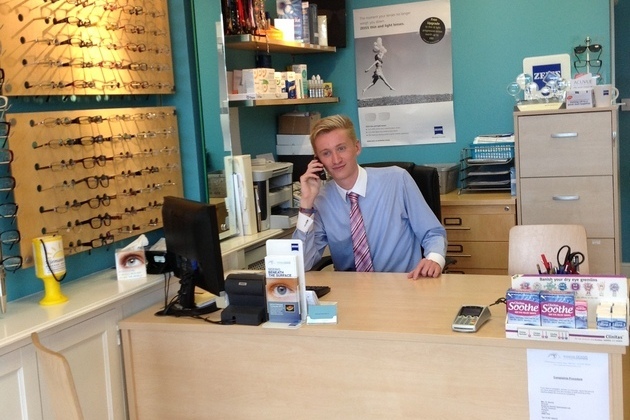 Suzanne Dennis Optometrist has four practices in Eccleston, Coppull, Parbold and Standish.